Late Night Pow Wow (outside) was edged by Noblame in the Its Binn Too Long Stakes. Photo by Coady Photography. 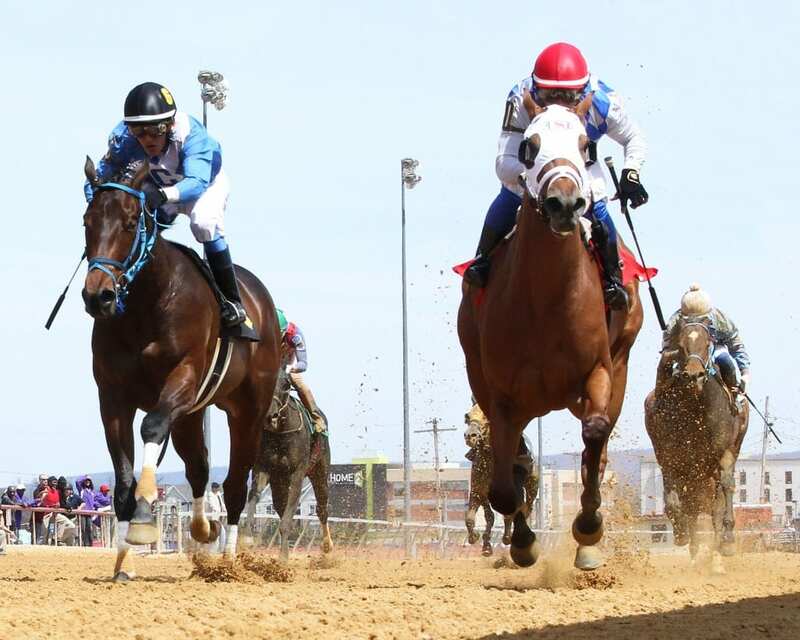 One week after the West Virginia-bred three-year-old boys took center stage in the latest edition of the $50,000 Robert Leavitt Memorial last Saturday, the state-bred sophomore fillies will be in the spotlight this weekend when Charles Town hosts the $50,000 Sylvia Bishop Memorial at the two-turn distance of seven furlongs. 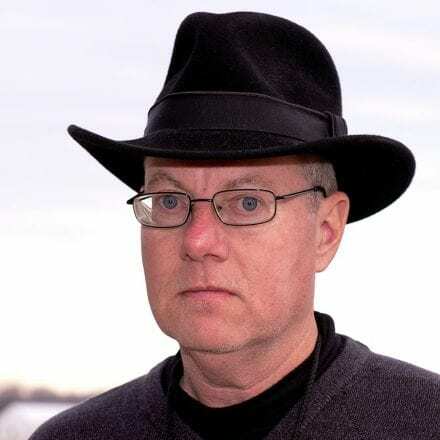 Last week’s Leavitt went to the undefeated Dr. Feelgood. Another horse with a gaudy record – Late Night Pow Wow, who’s five-for-six in her brief career – is the even-money favorite for the Bishop. Late Night Pow Wow, a three-year-old daughter of Fiber Sonde, is owned and trained by Javier Contreras. She has won three straight allowance races, four of five outings overall this year and five of six starts in her career. Her lone setback was in the Its Binn Too Long Stakes on the undercard of the Grade II, $1.2 million Charles Town Classic when she was upended following a prolonged duel with Noblame, winner of a one-turn allowance dash last weekend. Late Night Pow Wow, bred by John McKee of Rachel’s Turn fame, won her most recent allowance test at the two-turn distance of 6 1/2-furlongs in 1:17.90, edging See Ya Manana and B’s WIld Cork, both of which drew into the Sylvia Bishop. See Ya Manana, a sophomore daughter of Creative Cause trained by Jeff Runco, has won three times and been second four times in seven starts this year and owns a 4-4-0 slate from 10 career outings. B’s Wild Cork, owned, bred and trained by James W. Casey, sports a 2-2-2 slate from seven starts this year and seeks her first stakes score. Nellsyford, a sophomore daughter of During trained by Ollie Figgins, III for owner-breeder Ray Pennington, Jr., has clearly been the busiest filly in the field. Nellysford has won twice from nine starts this year, including trips to Delaware Park and Mountaineer Park recently, and will be seeking her first stakes victory and first win since an allowance here in early March. She was second in the Rachel’s Turn Stakes last fall, but has yet to hit the board in subsequent stakes outings. All of the fillies in the Sylvia Bishop will be seeking to inherit the throne as the leading state-bred sophomore distaffer heading into the West Virginia Breeders Classic since statebred juvenile champion Bound to Windsor, a Windsor Castle filly owned, bred and trained by James W. Casey, died of a heart attack soon after running third in a May 12 allowance event.